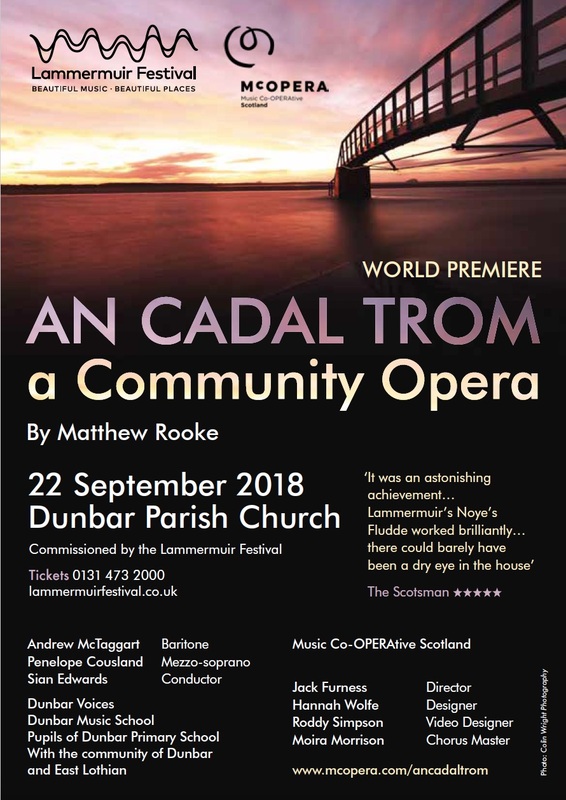 Join us this summer at the Lammermuir Festival as we present the premiere performance of An Cadal Trom, an operatic celebration of this area’s unique journey through history and folklore by Scottish-Gabonese composer Matthew Rooke. With distinguished conductor Sian Edwards once more at the helm , our professional cast and orchestra join a company of over 150 including the children of Dunbar Voices, Dunbar Music School and Dunbar Primary School, and Community Theatre and Costume Design students from Queen Margaret University. Rooted in the very rich and wondrous stories which run through Dunbar’s own history, we follow the interactions of two central characters whose story of love and rejection is woven throughout time, travelling through a kaleidoscopic musical landscape filled with pilgrims, invaders, visionaries and local townsfolk.